Abby L. Mulay, Ph.D., Mark H. Waugh, Ph.D., ABPP, Michael T.M. Finn, Ph.D., Jenna E. Gilmore, M.A., Marissa L. Whitley, M.A., Nicole M. Cain, Ph.D., Robert M. Gordon, Ph.D., ABPP, Christopher J. Hopwood, Ph.D., Alvin Jones, Ph.D., David S. Nichols, Ph.D., Gina M. Rossi, Ph.D., David L. Streiner, Ph.D. The American Board of Assessment Psychology (ABAP) was organized in 1993 to establish and promote standards for psychologists who specialize in assessment. ABAP has adopted the 2003 American Psychological Association's Ethical Principles of Psychologists and Code of Conduct. 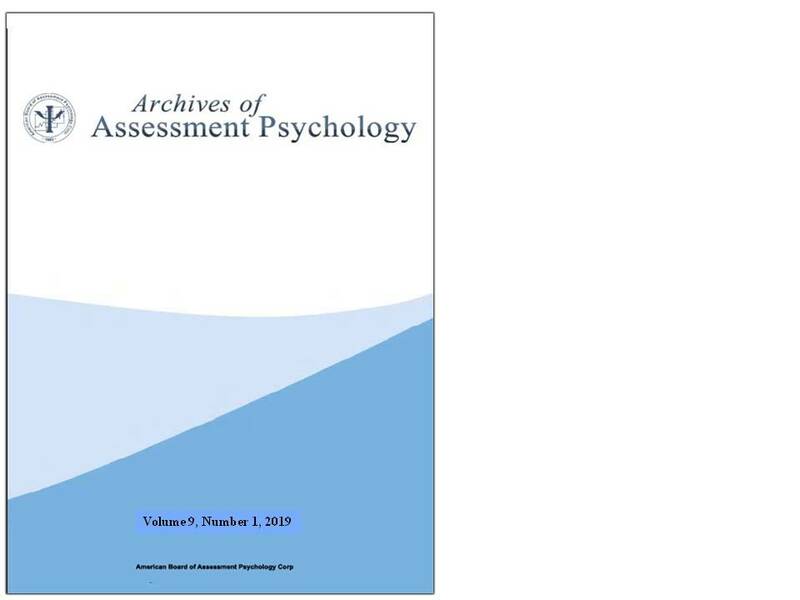 Archives of Assessment Psychology was conceived in 2009 with the express mission of increasing awareness of advances in the field, and with a mandate to open the discipline to more collaboration and understanding. At this stage the website is in beta-testing phase. Please let us know if you run into any problems by emailing the Site Administrator, Ron Leder.